I learned an interesting bit of information today. While reading some facts in a book about insects called cicadas, I learned that they hatch from an egg on a tree, fall to the ground and then burrow deep into the soil. There, they feed on juices from the roots of the tree—for seventeen years. After seventeen years, they come to the surface and begin to live out where we, as humans, can see them and hear them "sing." The author clearly stated that "no one knows" how the cicada determines that it has lived for seventeen years underground and thus, time to dig out into the world. My immediate thought upon reading this was, of course, that God tells them. He knows all about the passage of time in our realm. When seventeen years is up for a new generation of cicadas, He lets them know it’s time to come outside. 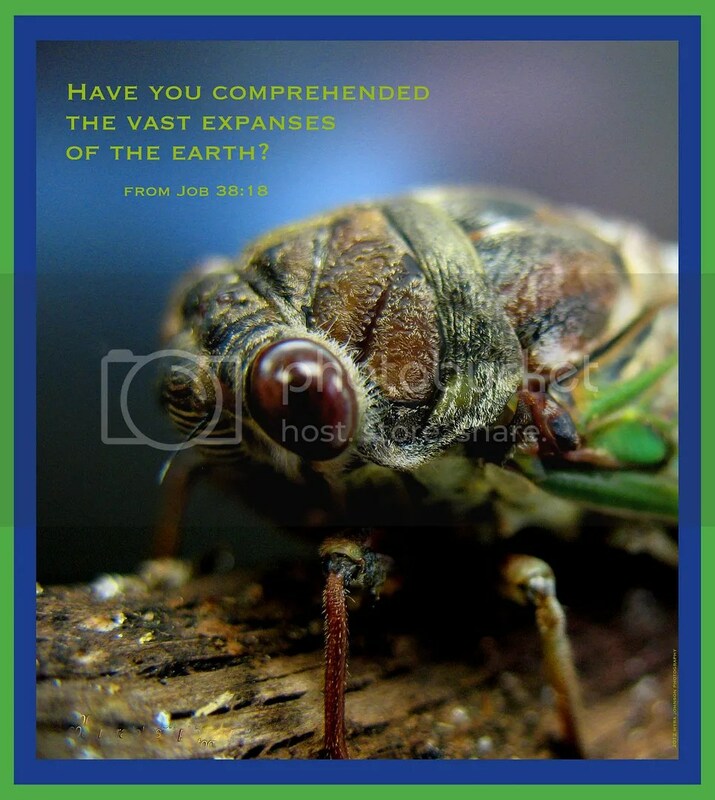 "Have you comprehended the vast expanses of the earth? Do you know the paths to their dwellings?" Of course, we can do none of these things, yet God is capable. In the vast expanses of the earth, God even tells the cicadas to come out–at exactly seventeen years. God is talking to us, too. They are considered source of warmth in cold weather. Because the skin of the sheep acts as barrier and stops the cold to reach foot skin. The author clearly stated that “no one knows” how the cicada determines that it has lived for seventeen years underground and thus, time to dig out into the world.